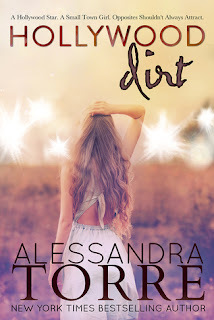 Hollywood Dirt is fit to be a classic romance novel. The story, characters, and writing are sophisticated and entertaining enough to maintain momentum for years to come. Alessandra Torre has, yet again, improved upon her well-oiled skills and outdone herself with this one. I enjoyed the way Torre set the scene for the whole book right at the beginning. She introduces us to the town of Quincy, the general feel of The South, the concept of a Southern Woman. It set not only the scene but solidified the tone of the whole book while preparing the reader to view events through the eyes of a southerner. I fell in love with Summer Jenkins immediately. I didn’t have to warm to her or wait to click with her. She is sassy, strong, intelligent, witty, and full of moxie! Even with all of that personality she is never too much, never over-the-top (rehearsal dinner scene aside). I see components of not only myself but friends I adore, making her impossible not to love. Cole is easy to like as well. He is wounded but not broken, strong but not over-bearing. He is attractive because of his strong positive traits, such as unyielding loyalty and a dedicated work ethic. The reader doesn’t need to ignore glaring negative traits that would typically have any sane woman running for the hills. Chauvinistic bad boys can be fun to read about but no self-respecting woman like Summer would settle down with someone who treated her with anything less than the respect she deserves. There are a lot of short chapters told from multiple perspectives. I really enjoyed this change up. Not only did it allow me to get roped in because I had to know what was next but it also allowed me to take more regular pauses during my busy schedule (a schedule that didn’t really allow for reading). That’s a win-win for me. I was also able to enjoy this flow because it was done so well. The brief chapters were smooth glimpses, as opposed to abrupt interruptions, and completed scenes. I loved the secret. That’s all I’m going to say because I am not going to be the one to spoil it. Just know that if you are a fan of Torre’s other works you will be a fan of this surprise, too. This secret is nothing to be afraid of; it’s not a Black Lies-style twist. Hollywood Dirt is full of sass, fun dialogue, witty banter, and strong personalities. The characters are flawed but not in an over-dramatic fashion. Meaning, the characters’ flaws are realistic but not over-the-top to the point of being for showy. The love/hate relationship, the sexual tension, the struggle to be friendly to each other is all happening at a relatable level. Nothing about this story feels forced or gimmicky. This story is just plain ol’ fun and I highly recommend it to everyone. 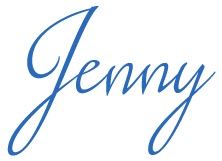 Thanks for the awesome review Jenny this sounds like a great book, and I will be reading it tonight after all the Grandkids go home! (Got babysitting duty while all their parents went on vacation! Of course you know I did not mind!) Can't wait to start it, and this review makes me glad I preordered it!